for all the little details you need to know! 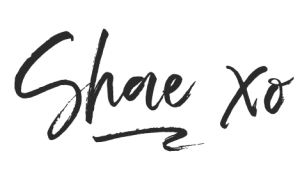 All the important Frequently Asked Questions you need to know for planning your Byron Bay, Gold Coast, Brisbane or Sunshine Coast wedding with Shae Estella. Although I have been based in Canberra and Southern Highlands for the past 4 years, in 2018 I’ve moved back to my home town on the Sunshine Coast, Queensland. My main areas I cover are Brisbane, Gold Coast, Bryon Bay, Sunshine Coast. I also can easily travel back to Southern Highlands or Canberra as I also know the area well! Good, because neither am I. I like to document the day as it happens, and focus on capturing the emotion and people that are the most important to you. I won’t get you to fake anything, and the photos will reflect who you really are. Hopefully you will hardly even notice I’m there – I don’t carry a lot of gear, and usually just melt into the background. Will we meet before our wedding? I love to meet all my clients to ensure we’re a good fit and have a chat beforehand. I’m always keen for a nice coffee, or a cheeky cocktail on a Friday night. If you’re interstate or overseas, we can Skype instead. But we all always meet before the wedding day if possible. Yes! I easily travel all over the place for weddings. I absolutely love going to new venues that I haven’t seen before, which is why I arrive the day prior to your wedding to suss out all the good spots for the big day. It’s just me, unless you want a second photographer (which I have some trusty side kicks who help me cover things when time restraints are tight), but I’m pretty good at getting everywhere I need to be. A $500 non-refundable deposit will secure your date. I’ll then send you a contract to look over and sign, and the balance is due two weeks before the wedding. How are the photos finished? I firstly edit every single photograph. I love creating that classic film look, with rich blacks and beautiful colour with a touch of mood. The editing process is just as much of my service as is the photography, and takes almost as long if not longer. I generally delivery between 500-700 images to my clients from their wedding day. You will receive your images via online gallery 4-6 weeks after your wedding date. Shortly after that I will send you a USB with all high resolution images included too. In 2018, I switched to online delivery of images due to USBs becoming redundant for many laptops and computers. Your images will be delivered via a secure, online gallery and are exactly the same high resolution images you would receive via USB normally in the past. The downloaded gallery images are high resolution, with no watermarks and can be used for high quality printing. There is no quality reduction what so ever. In replacement of USBs, I wanted to gift my clients some matted-prints that are ready to frame and hang as a thank you gift for allowing me to be apart of your wedding day! I don’t entirely as every wedding is unique so I go by what is special to you. I have my key shots I love to get, and as I have various affiliations with amazing wedding magazines I love to capture a lot of detail for possible wedding. I only ask you don’t send me pinterest boards of bridal parties running way from photoshopped dinosaurs or really posey cheesy shot requests! If you want this stuff, I might not be the photographer for you. How much time do we need for portraits at a wedding? Generally around 1.5 hours, which doesn’t include travel time. If you want to get some epic shots which may mean more travel time – remember to factor this in. In the end it’s about the love and the only time in your life you will get these special photos, so make it count!